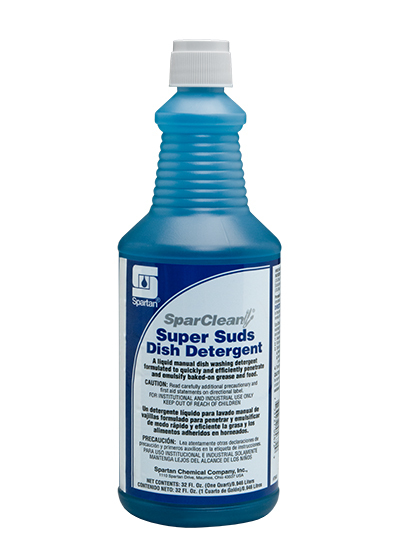 SparClean Super Suds delivers powerful cleaning and long-lasting, luxurious suds. Formulated with Aloe, Super Suds aggressively emulsifies and removes baked-on grease or food soils while conditioning hands. Plus, the powerful grease-cutting formula is concentrated, so you can use less to wash more.